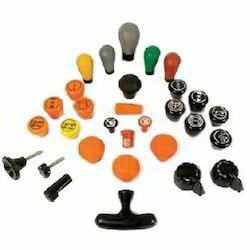 Prominent & Leading Exporter from Chennai, we offer gear shift knobs. Gear Shift Knobs are manufactured using premium quality materials that are sourced from the trusted dealers in the market. These are available in various specifications and can be customized as per the demands of the clients. Our range is highly demanded in markets for their superior quality, optimum performance, durability and efficiency. Clients can avail these at reasonable prices in the industry. Looking for Gear Shift Knobs ?